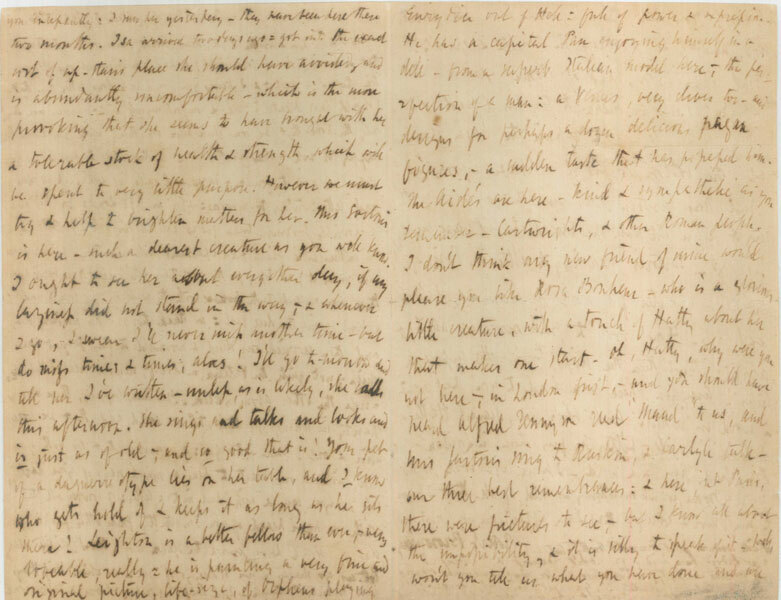 Letter from Elizabeth Barrett Browning and Robert Browning to Harriet Goodhue Hosmer. 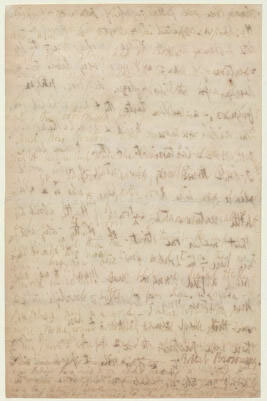 13 January 1856. Harriet Goodhue Hosmer. 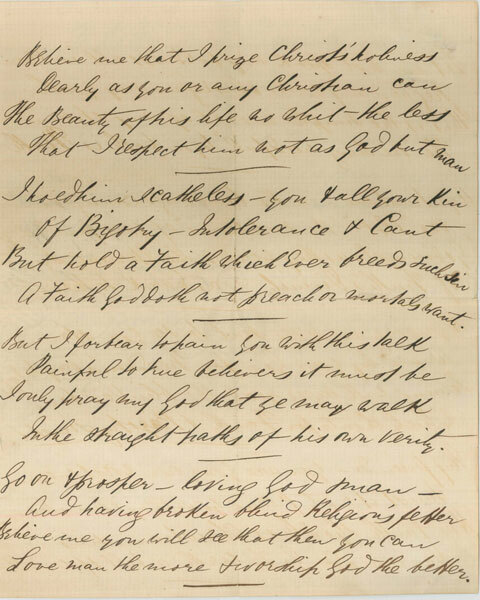 “Quaint twins well-mated, will you pardon one.” Autograph Manuscript. No date. 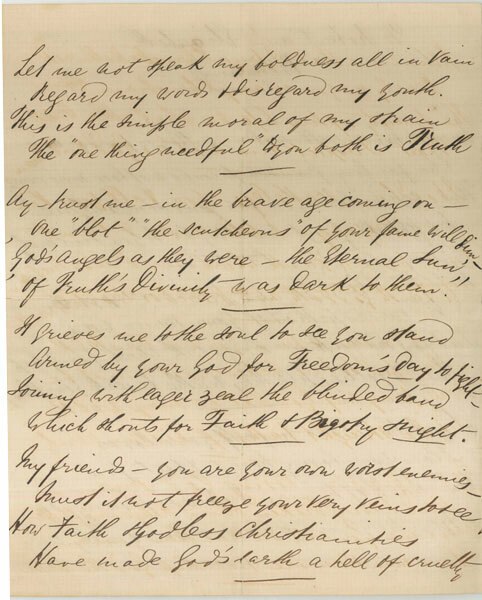 In this poem of forty-four lines Hosmer asserts The ‘one thing needful’ to you both is Truth. 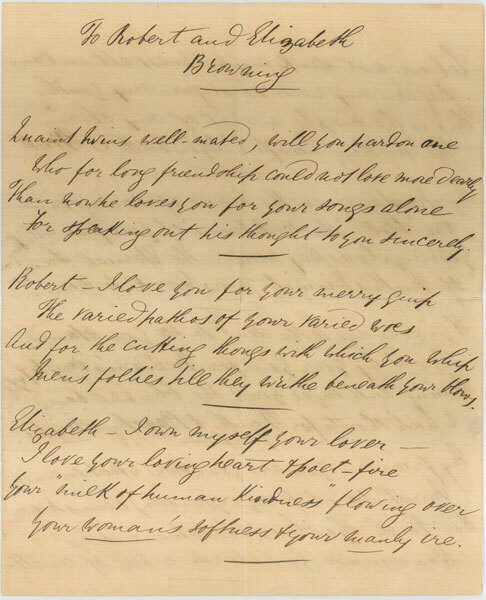 It is inscribed by Hosmer on an integral page: Inscribed with the sincerest regard to Robert & Elizabeth Browning—by H.G. 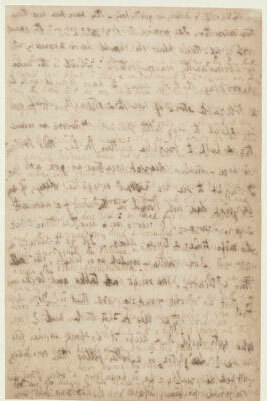 H. The poem was extracted from an unpublished volume of poems. Harriet Goodhue Hosmer. 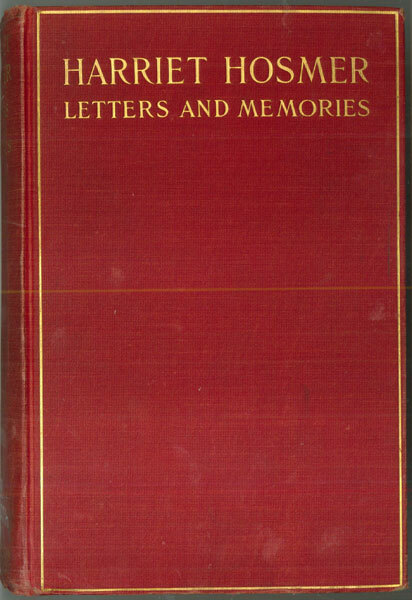 Harriet Hosmer Letters and Memories, edited by Cornelia Carr. New York: Moffat, Yard and Company, 1912. 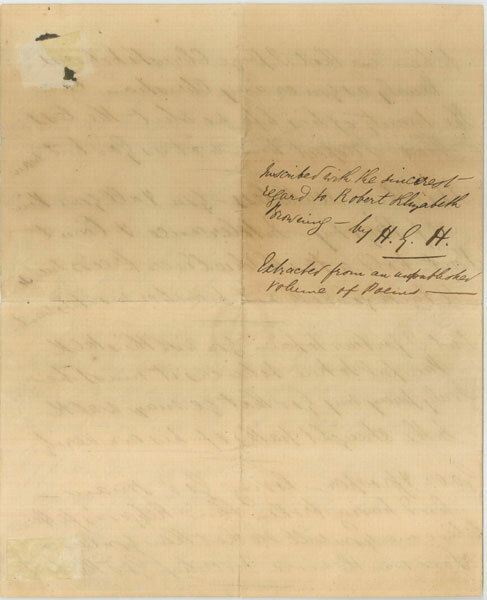 This collection of letters, edited by Cornelia Carr, long-time friend of Harriet Hosmer and published four years after her death, contains much of the Brownings’ correspondence. The Armstrong Browning Library’s holdings related to Hosmer include one book, three letters, and one manuscript.